Physicians in the US now have access to a new drug to help diagnosis neurological conditions such as Alzheimer's after regulators approved the radioactive diagnostic Vizamyl. The Food and Drug Administration's (FDA) recommendation for Vizamyl (flutemetamol F 18 injection) means the drug, marketed by GE Healthcare, is the second brain imaging agent approved in the US to help physicians evaluate patients for Alzheimer's and dementia. It follows the FDA approval of Lilly's Amyvid (florbetapir F 18 injection) in 2012. Lilly's diagnostic has also since been approved in the EU. Vizamyl works by attaching to a peptide called beta amyloid in the brain, high levels of which have been associated with the development of Alzheimer's. A PET scan can then detect the presence of Vizamyl, allowing physicians to evaluate for the presence of beta amyloid. The FDA asserted that the presence of beta amyloid “does not establish a diagnosis of Alzheimer's or other dementia” but Vizamyl can be be used as part of other diagnostic tools to determine presence of the condition. “Imaging drugs like Vizamyl provide physicians with important tools to help evaluate patients for Alzheimer's and dementia,” said Dr Shaw Chen, deputy director of the Office of Drug Evaluation IV in the FDA's Center for Drug Evaluation and Research. 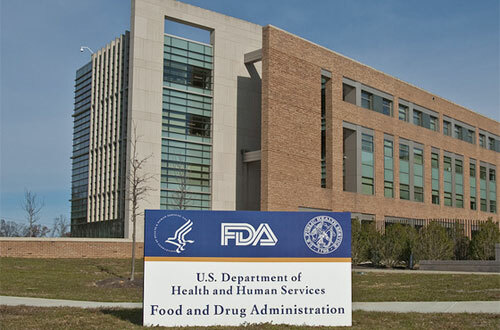 Vizamyl has had an easier path to approval than Lilly's Amyvid, which was turned down by the FDA in 2011 due to concerns about the ability of physicians to interpret the scans. Lilly responded to the rejection by developing a training programme to help physicians read the Amyvid images, which helped to support the 2012 approval. GE Healthcare took the interpretation issues into account during its clinical trial programme for Vizamyl, and studies have demonstrated that “scans are reproducible and trained readers can accurately interpret the scans”. As with Amyvid, drug labelling for Vizamyl includes information about image interpretation and PET images should be interpreted only by healthcare professionals who successfully complete training in an image interpretation programme.